We are a leading Distributor / Channel Partner of dupont tyvek air cargo pallet cover and thermal pallet covers from Hyderabad, India. 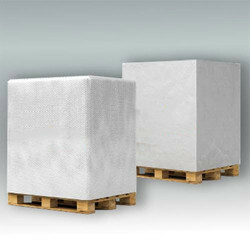 DuPont Tyvek Air Cargo Pallet Cover Protect Your Products & Improve Your Bottom Line. 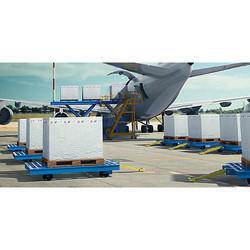 Specifically engineered to address the threat of cold chain breaks during air transit – when your perishable and temperature sensitive products are at their greatest risk for temperature excursions – DuPont™ Tyvek® Cargo Covers are used by pharmaceutical companies, perishables distributors, 3PLs and airlines worldwide because they offer proven performance with real benefits.Validated in a wide variety of applications worldwide, Tyvek® Cargo Covers offer advanced multi-threat protection at an affordable price. Temperature excursions by shielding your products from solar radiation and extreme ambient temperatures – hot and cold. Physical hazards including rain, snow and insects. Harmful gases and vapors, condensation damage and biological threats(1) by allowing gases and vapors to pass through the covers without compromising the cover’s ability to function as an effective barrier to physical hazards. Theft or tampering by masking your products from view, with the option for additional security with a tamper-evident installation. Tyvek Cargo Covers are used to protect pharmaceuticals, chemicals, inks, and a variety of perishable products including fruits, vegetables, plants and flowers, dairy products and more. Tyvek Cargo Covers have been validated by pharmaceutical manufacturers in applications subject to revised European Good Distribution Practice (GDP) guidelines. Excellent protection against temperature excursions by shielding your products from the threats of solar radiation and extreme ambient temperatures (hot and cold). Protection from physical hazards including rain, snow and insects. Breathable barrier that allows gas exchange (O2), vents harmful gases (CO2, C2H4 ) and helps reduce probability of condensation damage. Looking for Pallet Cover ?